With the summer sun on its way, it’s that time of year when you can look forward to spending lots of times outdoors and enjoy some quality social time with your friends and family. But, what will summer be like for you? Will you head off on vacation? Will you be playing sports late into the summer evenings? Will you be the party king or queen, hosting loads of garden events at your home? Here are ten things to do this summer. 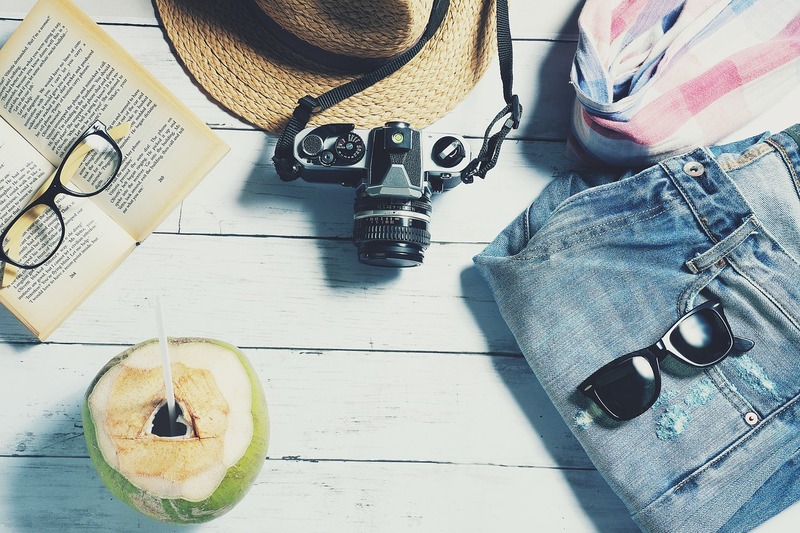 It is perhaps not surprising that one of the top things on the summer to-do list is booking yourself a much-deserved vacation. If you have kids, then the summer period is normally the best time to have that family trip away – whether that’s close to home or overseas. If you’re creatures of habit and are nearly always going back to the same place every year, why don’t you try something new this time around? Instead of going for a beach holiday, why not go for a two-week cultural experience on another continent? You could try Thailand, Japan or China. But don’t let your imagination stop there, have a look around the net for some inspiration. Read-up on travel guides and blogs. Of course, your choice of destination will depend on your budget and the size of your group. But have a hunt around, and you may bag yourself a bargain! There’s nothing like having the sun on your face and the wind in your hair as you take to the open highway. So, this summer, why not take a road trip. You could go for a day or longer, visiting some new places close to home, enjoying some time with your partner or friends. If you’re stuck for ideas, then have a look around for published routes and guides. You could pick journeys which take in certain towns and cities, attractions and great places to eat. Before you head off, make sure you have your vehicle or motorcycle in great shape. Have a maintenance check and ensure you have all the right legal documents in place. If you have an accident while you’re on your trip, you may need to get yourself an attorney to assist you. Read more about what help is available. If the idea of a road trip fills you with excitement, but you don’t have your drivers license, then maybe the summer is a good time to finally book those lessons you’ve been talking about. With the weather fine, highway conditions can be more favorable to learn the basics and get some useful practice in. Check out what driving schools and lesson options you have available to you locally. Make sure you shop around a get yourself a good deal. You’ll also want to meet your instructor and see the vehicle that you’re going to be learning in, to make sure you feel comfortable. You never know, by the end of the summer you could have your license and your own set of wheels! With longer days and warmer temperatures, there’s never been a better excuse to organize a party! The summer is the season to invite friends and family over for a big get-together. You could organize a BBQ in your garden, with food, drinks, and music. You could have a more formal sit-down meal in your home, or maybe you could head for a park or to the beach for some fun. Don’t feel like you have to pay for everything. You can ask your guests to bring food and drinks with them; they’ll often not mind. And, remember, any kids need some entertainment too. So, pick a venue where they have lots to keep themselves occupied and out of trouble! The summer opens-up a whole new range of outdoor sports, with activities catering for all tastes, skills and fitness levels. You don’t have to get competitive and join a club, but you could get active with your friends, family or work colleagues. If you have tennis courts near you, then why not book one for a couple of hours at the weekend? You could play singles or doubles game and make a day of it, with lunch or dinner after. Or, if the sun’s out, why not head to an outdoor swimming pool. Swimming is a great, all-around fitness activity and if you can enjoy it in the open air too, what is there to lose? You could reward yourself with some chill-out time by the pool after. You don’t have to stick to outdoor sports, you can always stay cool on a hot summer day by hitting an indoor ice skating rink. While most rinks have rental skates available, you can always bring your own figure skates or go to a website for hockey skates here. You don’t have to play sports though; you could also take to your feet and enjoy a nice long walk around your local area or further out. Or, if you have two wheels, get your bicycles out and go for a ride. If the idea of playing sports doesn’t rock your world, then you could always watch some live sports instead. With the summer comes of lots of events and competitions you can book for tickets for. Why not go to see a baseball match? Or you could catch some tennis action? If you’re looking for an event further away from home, then you could always head to Russia this summer and catch some World Cup action. But make sure you get your hands on some tickets! You can also enjoy some time outside while listening to your favorite singer or band. The summer normally brings lots of music event possibilities, some of them hosted in the open air. It’s worth checking listings for your area and, if you’re going away on vacation, see what’s happening at your destination too. You could enjoy everything from a classical music lunchtime concert in a park, to a three-day heavy metal festival. Whatever does it for you! Make sure you get your tickets as much in advance as possible, to secure yourself an entry. With the air filled with warmth, you may be full of inspiration and desire to learn something new. Well, if you have some time on your hands, why not do just that. Have a look around for summer schools, activities and classes being organized near you. You could sign-up for some one-day sessions or do something over a longer period. Maybe it’s time to go on the wine tasting course or that furniture-making workshop. You could even head to the coast to do some environmental studies. The choices are plentiful, for young and older. Get some inspiration online, or maybe speak to some family and friends about whether they’re planning anything. You could always join them and make it a social thing! With time on your hands during the summer, it can be a good time to catch up with those relatives who you haven’t seen for a long time. Organise a weekend away at their house, if they live far away, or invite them over to yours. You can catch up on all the family memories and enjoy some social time in the sunshine. You don’t have to stay at each other’s houses; you could always organize to meet up half-way and spend a day together – maybe having lunch or visiting an attraction. It may sound dull and boring, but summer can also be a useful time to give your home and garden a good tidy up. Inside your house, have a good look around at everything you have. Do you need it all? Or is it just cluttering up your living space? Throw away the garbage and make the most of your property’s natural features. Maybe some of the rooms could do with some fresh paint? Then why not spend some summer days doing some decorating. You could have your bathroom, bedroom or kitchen looking great in no time. Don’t forget the floors as well; maybe they’re in need of some attention too. Have a look at the outside of your house too. Is there some paintwork or some wood panels that could do some work? Make the most of the better weather and give them some love as well. And how about in your garden? If your grass is looking sad and your flowers are gasping for life, then maybe it’s time you gave it all some tender-loving care. With the warmer days, there’s no better time to care for your garden. You could also introduce some new features, like a water fountain. While you’re outside, you may also want to take a look in your garage. Is it full of trash? Boxes you haven’t looked inside for years? Maybe it is time to give it a good clear out. You never know, you might be able to get your vehicle back in there at long last! Speaking of four wheels, the summer months provide the perfect conditions for cleaning your vehicle. Get out there with some water, soap, and polish and make sure your auto looks the best in the street!